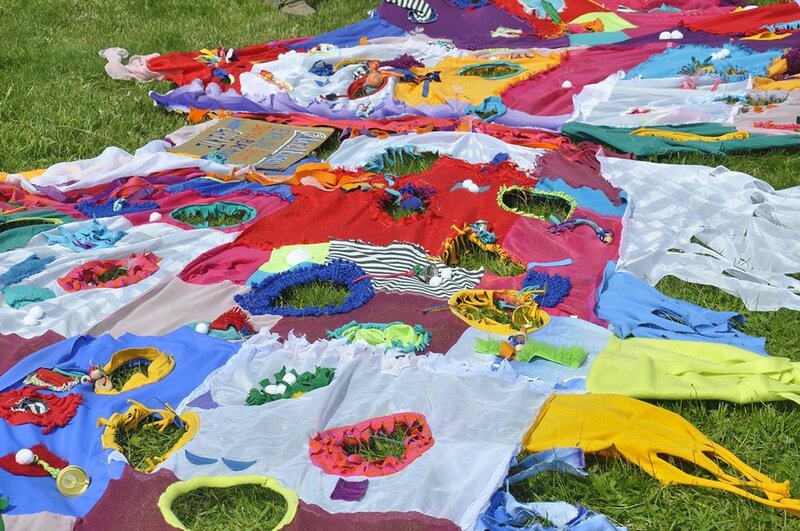 The Fabric Playground was created in collaboration with Lexy Ho-Tai while in the class “Social Imagination”, taught by Shane Aslan Selzer at The New School. This class used The Children’s Museum of the Arts as a case study in order to question and engage with institutions of learning in the city. 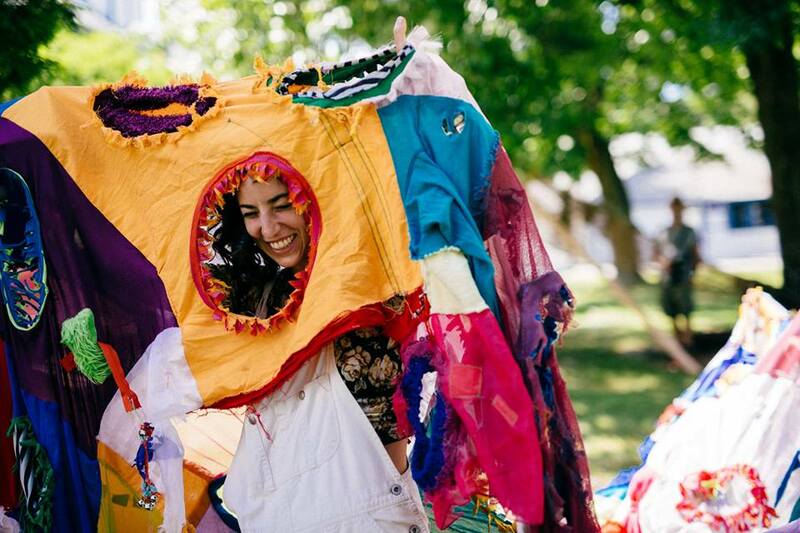 The Fabric Playground is an interactive, communal textile designed to facilitate alternative ways of engagement in the city. Similar to a playground, it's structure remains relatively the same, while the functions and meanings of the form are constantly reimagined by it's users. The textile was first prototyped and installed at the Children’s Museum of the Arts in New York, where it fit approximately 4-6 people. 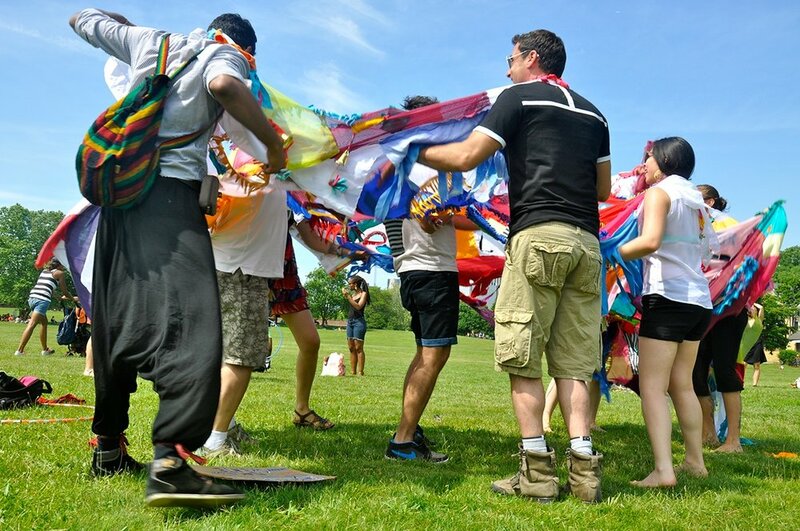 There, participants used the playground to launch a balloon into the air, and later sat on it while discussing color and texture. The Fabric Playground then expanded in size and was installed at FIGMENT, a participatory art festival on Governor’s Island. It grew to fit over ten people and was given many functions. Some users chose to perform in it individually while others joined strangers, dancing and making sound on the dance floor. During the hottest hours of the day it was used as a lounge space, where participants could relax in the shade. Since then it has made appearances on the streets, and in parks, helping to facilitate outbursts of dance, conversation and protest. Most recently it was present at Destination Moon, a music and art festival in Warsaw, New York.